Women's All-Mountain Front ski reviews for 2017/2018. 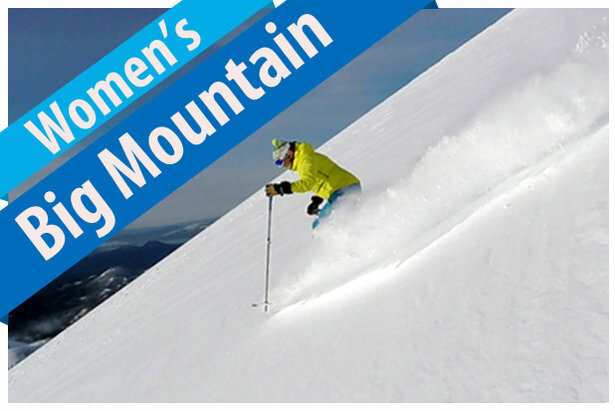 As versatile as All-Mountain Front skis are for men, they have an even larger behavioral envelope of excellence for women. These skis are inherently superior in powder because a lighter woman will float higher on the same surface area without this capability impinging on the quickness and accuracy of a shapely sidecut. Beginners belong on Frontside skis for good reason, but once a lass takes a longing look at the soft snow piled at the side of the trail and is ready to dive in, a women’s All-Mountain Front model can be her best ski companion for years, and conditions, to come. Advanced to expert skiers who shop in the All-Mountain Front Category come in two basic flavors: Power skiers possess the technical turn skill to extend their feet well out from under their hips, riding a high edge angle at high speed; Finesse skiers are also skilled but generally throttle turns down and ski mostly with feet beneath their hips. The 2018 field of women’s All-Mountain Front skis welcomes several notable new arrivals, including the updated Blizzard Black Pearl 88, the much-anticipated Nordica Santa Ana 93, the revised Rossi Temptation 88 HD and the new, non-system All-Mountain Front ski from Head, the Wild Joy. These skis join a well-rounded cast of gear veterans headlined by Völkl’s timeless Kenja alongside Atomic’s versatile Vantage 90 CTi W and K2’s all-terrain OoohlaLuv 85 Ti. 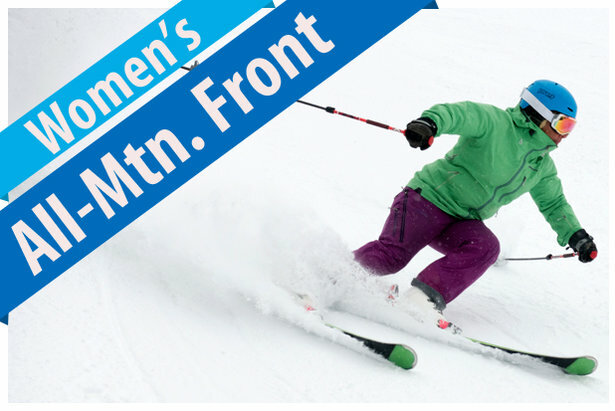 The women’s All-Mountain Front ski reviews are provided by our equipment experts at Realskiers.com, powered by Masterfit.